Welcome now, dear readers to Astronaut Academy, in it’s serialized return to the increasingly futuristic landscape of THE INTERNET! 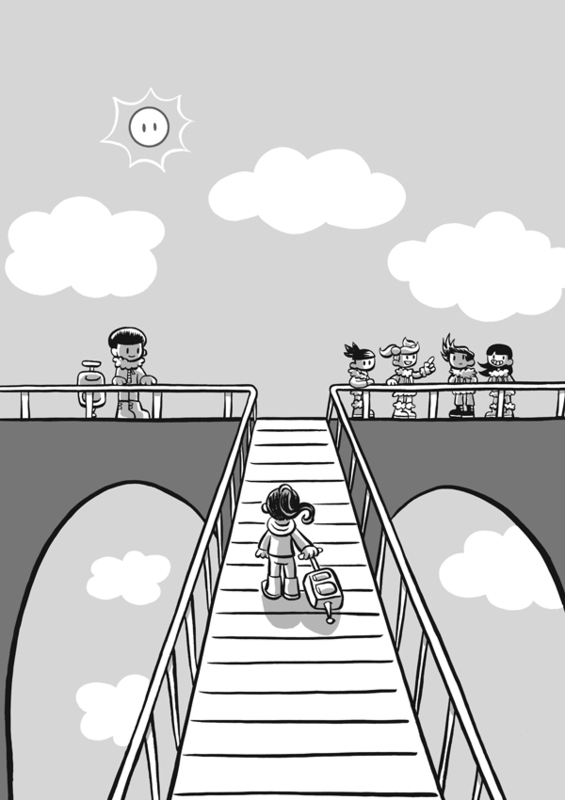 This comic of sequential nature, will be called Astronaut Academy: Re-Entry and be the perfect follow up to the one distinctly labeled Astronaut Academy: Zero Gravity! The first 25 pages are available to read totally FREE and have the proper resolution for your screen to appear enjoyable to your reading satisfaction! And as a bonus that will leave you content, are ongoing blogged posts by Dave Roman who happens to be the author of the content referenced above! The kids are boarding the ramp to the bus station waiting area. This was inspired by the ramps at Tomorrowland at Disneyland park in California. 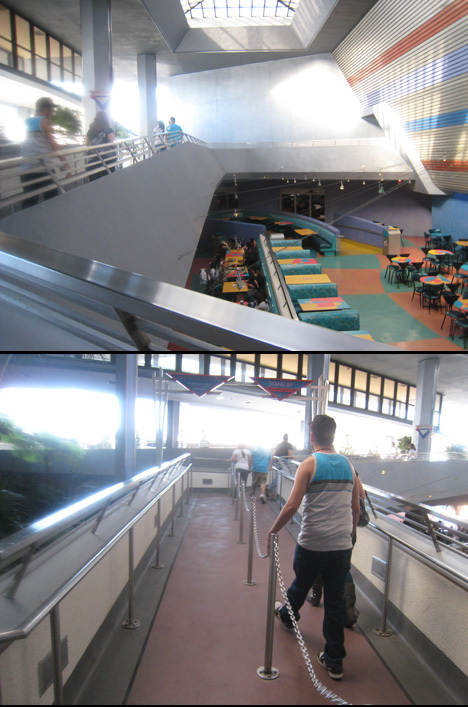 I’ve spent a lot of time running up those ramps leading to Space Mountain. I wanted the return to school at Astronaut Academy to have a similar feel. Hakata was already on the school bus at the start of Book 1, so it was nice to show a bit more of the anticipation I used to feel waiting at the bus stop with friends.